THE Chesterfield Canal Trust has published two books written by its members. Is the book by David Bownes. David started as a boatman on the Chesterfield Canal in 1949. He has built and maintained boats and run passenger boats on the canal. By the early 2000s, David was one of the very few people alive—possibly the only one—with real working knowledge of the unique construction of Chesterfield Canal boats. He led the volunteers who spent four years building Dawn Rose, the first new Chesterfield Canal boat for 80 years, which was launched in 2015. His book contains many colourful memories of life on the canal, including horse drawn boats and the story of the building of Dawn Rose. It is fully illustrated throughout, including many old photographs. 56 pages. ISBN 978-1-9999465-0-0. Is an updated edition of John Lower’s very popular book previously published by Richlow. It is fully illustrated throughout with photographs and maps. John and Barbara Lower have been navigating the tidal Trent for nearly 40 years, first in a small cruiser and then in different narrowboats. 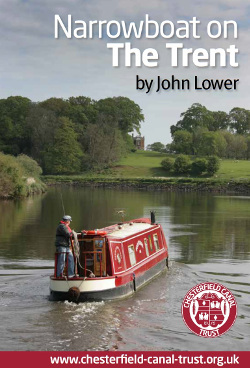 In this book, they aim to share their experiences and thereby encourage other narrowboaters to use the Trent. 40 pages. ISBN 978-1-9999465-1-7. "This booklet is full of invaluable information that you might spend a lot of time gleaning from other publications. Full of good advice, written in a no nonsense style built on many years spent on the Trent. Split into tidal and non-tidal sections, including good descriptions of how to plan your trip. A good read for the first time boater on the river. Like the tidal Thames or the Severn above Bristol, the Trent is a river you have to respect. I tend to have a refresher read through the book, whenever I plan going out on the Trent.” . 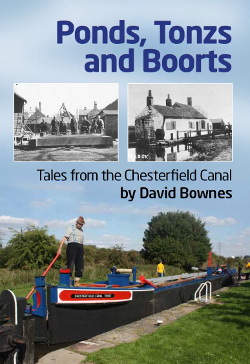 Both books are available from the Chesterfield Canal Trust website. Both cost £7.50, plus £1.50 for p&p.